Tens of thousands of young Americans fled north to Canada to escape the draft during the Vietnam War. Much has been written about these war resisters, many of whom stayed in Canada following the end of the war. Less is known about the nearly thirty thousand young Canadians who headed in the opposite direction to enlist in the U.S. military to stop the spread of communism in southeast Asia. Among them was John Blake, a patriotic teenager from the Newfoundland community of Topsail, who in 1968 announced to his family that he was heading off to fight. Blake did two tours in Vietnam, earning the U.S. Bronze Star Medal along the way. Like so many other Vietnam veterans, he returned home suffering from post-traumatic stress disorder and didn’t receive the treatment or support he deserved. That story alone is worth reading. But it’s what happened next that truly elevates Blake’s tale. After advocating tirelessly for his fellow veterans, in 1982 Blake decided to march across America to raise awareness of their plight. Dressed in full combat gear and carrying an American flag, the proud Newfoundlander walked alone from Washington State to Virginia, a journey of roughly 5,100 kilometres. Along the way, he helped to dispel the stigma that unfairly surrounded Vietnam veterans. As American news media picked up on his story, it fostered greater compassion and empathy for all the veterans of that war. The book’s final section deals with the fallout of Blake’s PTSD, his decision to take his own life, and the heart-wrenching tale of what happened next. 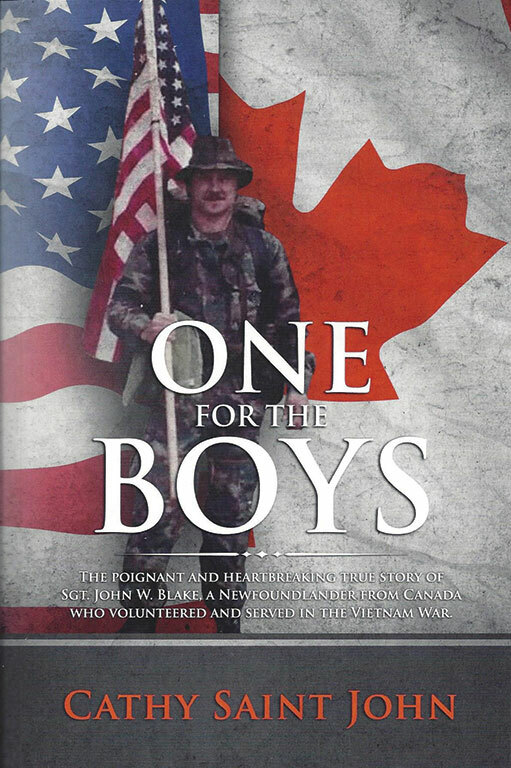 One for the Boys is truly a labour of love for author Cathy Saint John. Blake was her older brother, and his decision to enlist changed their family forever. The book is a poignant reminder of the sacrifices we demand of our veterans and, sadly, of how quickly society can forget about their service. Book Review: Antony Anderson has given us is not only a penetrating character analysis of Mike Pearson but also a clear headed analysis of the evolution of Canadian foreign policy and a riveting narrative of the Suez crisis itself.